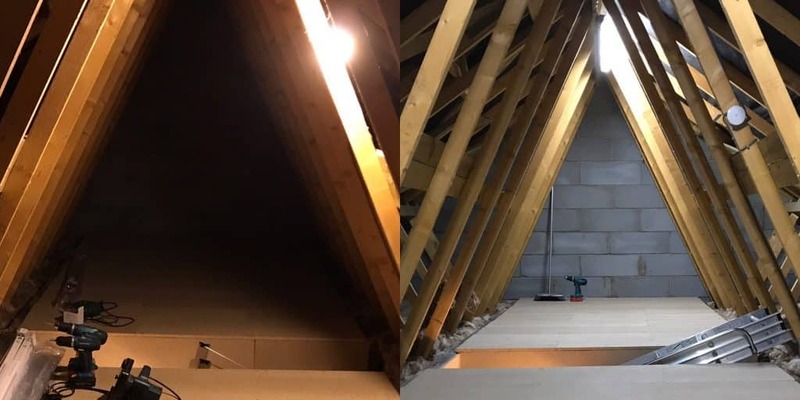 Suitable lighting is essential for any loft being used for storage. Using long LED light tubes instead of a single pendant bulb gives a much more even spread of light, and won't cast hard shadows in all directions making it difficult to find what you are looking for. With NICEIC ceritificate provided by your qualified electrician. Suitable for larger or longer lofts over about 4m, 2 lights give much more adequate lighting. If you do not already have a switch installed we will fit one next to the hatch inside your loft. For appliances such as CCTV or aerial boosters.